Justice systems increasingly rely on expert evidence. We are therefore obliged to justify the courts' ability to assess this evidence, especially when the courts must resolve disagreements between experts or address possible bias. 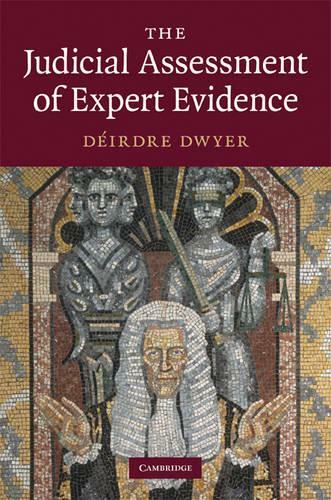 By reintegrating contemporary evidence theory with applied philosophy, Deirdre Dwyer analyses the epistemological basis for the judicial assessment of expert evidence. Reintegrating evidence with procedure, she also examines how we might arrange our legal processes in order to support our epistemological and non-epistemological expectations. Including analysis of the judicial assessment of expert evidence in civil litigation (comparing practice in England and Wales with that in the United States, France, Germany and Italy), the book also provides the first detailed account of the historical development of English civil expert evidence and the first analysis of the use of party experts, single joint experts and assessors under the Civil Procedure Rules.